The TLE office wants to hear your voice. Regional stakeholder advisory groups will soon be developed comprised of five groups representing various regions of Oklahoma. These advisory groups will meet on a quarterly basis to discuss current issues on evaluation, improving our system, and moving toward a performance-driven model. This is your opportunity to provide positive feedback to improve teacher and leader effectiveness in Oklahoma. We are in search of teachers from a variety of backgrounds in order to gain a wide variety of perspectives relative to every teaching background. The projected date for the first meeting will be October 2016. If you have any interest in becoming an advisory group representative, please contact Robin.Anderson@sde.ok.gov. The TLE Qualitative Data Report tool can be accessed via the Wave. We are using a new reporting tool which can auto-populate many of the required cells. This report is required by statute. For tutorials and other information, please visit the TLE website. We are excited for thousands of educators to attend this free annual training event, which will offer professional development and important updates on federal and state education law....including TLE. By offering mini-conferences in various locations, we hope to minimize travel and accommodations for teachers and districts while still offering the professional development they need. This new change will also save the agency funding that can be passed along to schools. Initial training of all TLE frameworks is required for new evaluators and recertification of teacher evaluation frameworks is required every two years. Those in need of training for the 2016-17 school year can visit the TLE website for information on how to register. Please note: Any evaluator requiring recertification training for the 2016-17 school year (Tulsa Model or Marzano only) may receive this training at no cost to the school district through a grant received by the TLE office. This grant is only for teacher evaluation training and only for those who are due for recertification in 2016-17. Thanks to a grant received by the TLE office, we are excited to welcome Robin Anderson as the new Director of Special Projects. 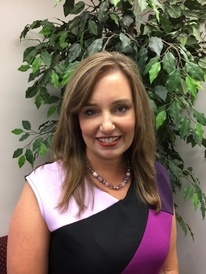 Robin brings nearly 20 years of experience as a teacher and building principal in Oklahoma to this position. She will play an integral role in the implementation of recent legislative changes in TLE and will lead the efforts in rolling out projects from the grant which target administrator training, advisory groups, and communication initiatives. The Office of Educator Effectiveness is actively soliciting feedback to improve the evaluation system. The State Department of Education serves all educators and values ideas and suggestions geared toward improving learning and strengthening teachers. Any questions/suggestions regarding teacher evaluation or requests to schedule a training, should contact the TLE office.